Spent 20 yrs in the Army National Guard and retired as a SSG in 1998. 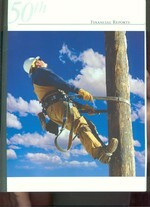 Have been working as a Lineman for Tri-State Gen & Trans. Assn Inc for 25 1/2 years. Have lived in Fort Morgan CO for 24 years. Got married July 1981 to Susan (Peterson) and we are still married. Have 2 Fjord Horses that I am training to drive and do draft work. Still return to Saratoga regulary as my parents and mother in-law still live there. Both of my daughters are married and have graduated from college. I have 1 grandson. Where do I start. My family says I remember everything from school but not to take out the trash today. My sophomore year - Speech Class-Mrs Simmons Class- always picking on Bob Payne, John T. usually witnessing what was going on, i did well until the last week of school when i got caught hitting him in the head with my pencil. Kelly 79-Hoem has a birthday today. First Show that Ole and I attended. It was in June 2008 and we placed 4th. Landin Coggin, my grandson. This is Natasha's little one and our only grandchild to date. Driving a Norwegian Fjord Horse in Canada during June of 2007. Probably the best vacation we have ever taken. Family Photo, Susan, Natasha (red head), Carissa and myself.